GREENSBORO, NC – The FDA released a mammogram alert March 24, 2015, for patients of Richard D. Adelman, M.D. in Raleigh, N.C. The alert was issued for any patient who received mammography services at Adelman’s practice since August 24, 2012. The FDA issued this warning in response to an American College of Radiology review that spanned from August 25, 2012 to August 25, 2014 and discovered shortcomings in the quality of mammograms patients were receiving. The baseline standards set in place by the FDA were not met by Dr. Adelman’s family practice, which resulted in the loss of his accreditation on November 5, 2014. On November 18, 2014 the practice was instructed to notify patients who visited during this period that the quality of their mammograms were not in line with FDA standards. Dr. Adelman’s practice cannot provide mammography services until the accreditation is reinstated. While all patients were alerted about possible problems with the quality of their mammograms, it should not be assumed that all mammograms were inaccurate. Request your mammogram and copies of your medical reports from Richard D. Adelman, M.D, Family Medicine practice. Have your mammogram reviewed at an MQSA-certified facility to determine whether you need a repeat mammogram or additional medical attention. A database of MQSA-certified facilities in your area is available online or by calling the National Cancer Institute (NCI) at 1-800-422-6237. If you need a repeat mammogram and your health insurance will not pay for it, you can call the NCI information service at 1-800-422-6237 for a listing of MQSA-certified facilities near you that provide free or low-cost mammograms. If you have questions please contact the MQSA Hotline at 1-800-838-7715. If you have had a more recent mammogram at an MQSA-certified facility since August 25, 2012, you should follow the recommendations from that facility. 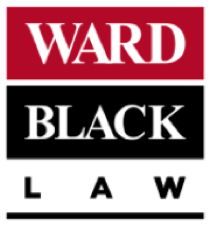 The knowledgeable medical malpractice lawyers at Ward Black Law in Greensboro, N.C., have years of experience representing clients and victims of medical errors. If you received mammography services at Richard D. Adelman, M.D, Family Medicine and have since been diagnosed with breast cancer, Ward Black Law is happy to help you understand your options. Contact the personal injury and medical malpractice attorneys at Ward Black Law today for a confidential consultation at 336-333-2244, or call toll-free at 1-877-256-1214. You can also reach Ward Black Law by email or online inquiry.